Marketing’s role in an organization often boils down to creating new leads and revenue opportunities, and then passing them to sales. But most marketers know that it’s more cost effective to renew business with an existing customer than to acquire a new lead. Yet in the face of purchased lists and pressure to generate large lead volumes, the core concept of nurturing existing customers for continued revenue can get lost in the commotion. So how do you keep customers engaged beyond the purchase? And how do you convert someone from a customer to a brand advocate? 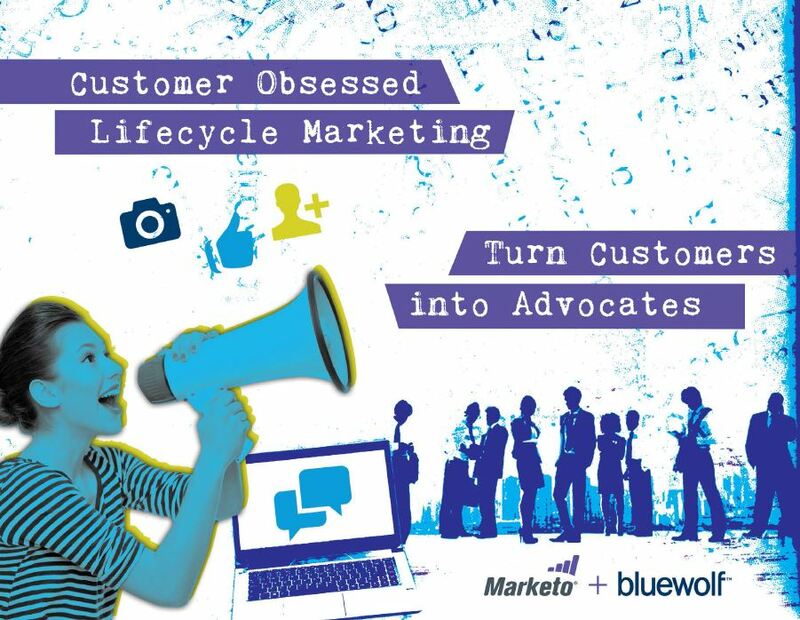 In Bluewolf’s new ebook with Marketo, Customer Obsessed Lifecycle Marketing, we outline three essential strategies for harnessing the power of customer advocates. By leveraging these three tenets of lifecycle marketing, you can leverage the power of customer advocates, and experience a more cyclical and explosive form of growth. Many companies map their lead lifecycles from the “anonymous lead” stage, right up until the moment of purchase. Unfortunately, this leads marketers to neglect customer nurturing after the purchase has been made. Post-sale lead nurturing is essential to keep customers engaged with your brand – eventually turning them into customer advocates. Start by gathering additional data (through initiatives such as progressive profiling in your marketing automation tool) to create rich buyer personas for your customers. Who do they interact with to complete daily projects? What are their recurring pain points? How can you amplify their success? Once you’ve collected this information, you can create targeted, relevant, and personalized content to help your customers succeed. Sending “email blasts” is no way to nurture your customers. Lasting, trusting relationships are built when you engage your customers with customized content over time. By touching base regularly with your customers to demonstrate that you are mindful of their goals, you can foster their trust and respect for your brand. This can be done with simple gestures, such as a welcome campaign when customers register on your site. You could also create a sophisticated preference center to help you understand what your current and potential clients want to hear about your offerings. Using personalization software, you can offer them customized images, web content, and calls-to-action based on their behaviors and data. Try to recall the last time you told a group of friends about a great customer experience you had. What made you transform from a customer into a customer evangelist? Most customers become advocates because they had a positive relationship with the company, or an emotional connection to a brand. When you consider the fact that 80% of all consumer purchases and B2B purchases include some form of word-of-mouth recommendation during the purchase cycle, customer evangelism has become a necessity for any company’s brand equity and ROI. Continue to check in with existing customers to gauge their advocacy. This can be done with satisfaction surveys, one-on-one communication at hosted events, or with incentivized email campaigns. Find groups on social media sites like LinkedIn to tap into common issues, or to create local meet-ups. Allowing your customers to be heard is the pillar of customer advocacy. Make it easy to share your brand’s content. This goes a long way toward encouraging customer advocacy. For example, include social sharing, or “email to a friend” buttons on all of your content – this makes sharing your brand as simple as a single click. Incentivize your customers to share positive experiences. 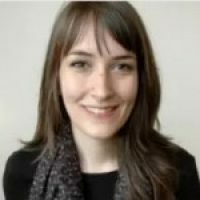 Leverage gamification to incentivize customers to share ideas (with contests or leaderboards, for example), or host special events for top performers. Your organization’s marketing team is on the front lines when it comes to facilitating your customer’s success with your brand – so don’t stop marketing once a purchase has been made. To find out how you can nurture leads through the entire customer, download our new ebook: Customer Obsessed Lifecycle Marketing.